Dupilumab is a human monoclonal antibody that binds interleukin 4Rα and inhibits the signaling of the interleukin 4 and interleukin 13 pathways responsible for TH2-mediated humoral immunity proliferation. Dupilumab may provide hope for resolving recalcitrant allergic contact dermatitis (ACD) and helping patients with ACD return to a normal lifestyle without dietary restrictions, a new case series found. 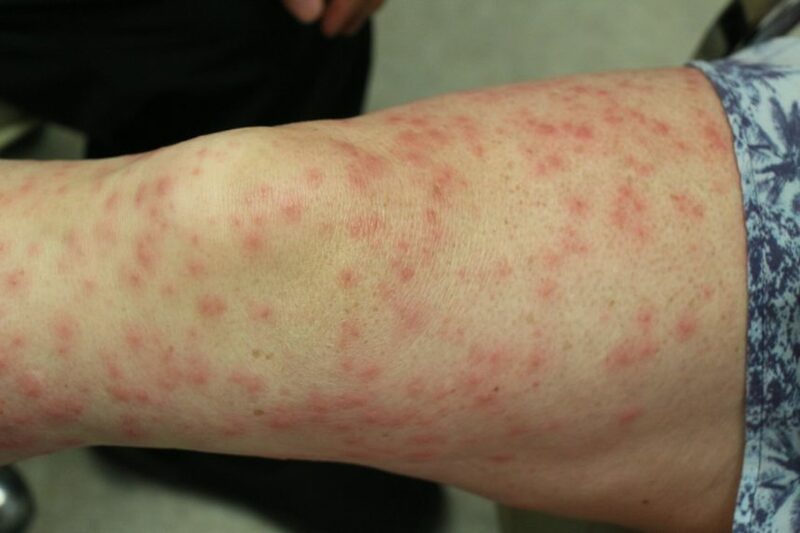 The observations from this case series were published in Dermatitis. 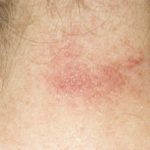 The investigators described 5 case presentations, including a 60-year old white office worker with adult-onset dermatitis (case 1), a 53-year-old white salesman with recalcitrant generalized dermatitis with accentuation on the face and legs (case 2), a 69-year-old white woman with severe adult-onset dermatitis recalcitrant to topical and systemic therapies (case 3), a 29-year-old Asian warehouse worker with recalcitrant dermatitis affecting 65% of his body surface area in a generalized fashion (case 4), and a 54-year-old white school teacher with intractable pruritic dermatitis affecting 45% of her body surface area (case 5). Case 1 experienced an approximately 90% improvement in disease within 4 weeks of dupilumab initiation, whereas case 2 experienced 100% body surface area clearance of dermatitis. In addition, case 2 stated that he was able to eat anything he wanted without fear of stimulating a flare up. Case 3 and case 4 achieved an 85% clinical improvement and 80% resolution in recalcitrant dermatitis within 6 weeks, respectively. All cases were able to return to a normal diet without restrictions. Limitations of the study include the small number of patients and the observational nature of the report. Jacob SE, Sung CT, Machler BC. Dupilumab for systemic allergy syndrome with dermatitis. Dermatitis. 2019;30(2):164-167.